It can happen in the blink of an eye. Drivers may find themselves responding to an in-vehicle emergency involving either themselves or one of their passengers. Whether there is a medical problem or a threat to the security of those inside the vehicle, it’s imperative to know what to do in responding to the issue. In this blog, we’ll focus on 3 tips to respond to an in-vehicle emergency. Every parent has been in a situation where their child feels unwell during a long drive. But there are often cases where a passenger’s complaints have not been believed by the driver, and a medical emergency has taken place. When a child or another passenger tries to communicate with the driver, it’s important the driver quickly ascertains the problem. In most cases, it’s more prudent to simply pull over safely on the side of the road and review the problem than to take the risk and to keep driving. While it’s now illegal to use a cell phone while driving in Canada, it’s an essential piece of equipment to use in an emergency. 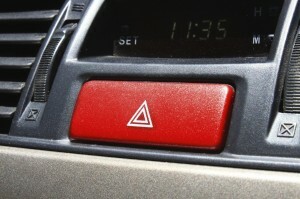 This means that drivers should know where their cell phone is should it be required. Drivers might wish to keep their cell phone in the glove compartment at all times on the road. This will prevent it from being used while driving, but place it within easy reach during an on-the-road emergency. If a driver is feeling unwell with passengers in the vehicle, it’s important they communicate with any passengers immediately. This might mean pulling over and then explaining the issue or quickly telling passengers of the problem while on the road. This will ensure that there are more people working to resolve the issue with as much information as possible. Drivers with specific medical conditions might wish to alert passengers to any emergency procedures before they begin their journey. This could save crucial time should an event take place. It’s important for drivers to know their obligations when they are involved in an in-vehicle emergency. Preparing for the event beforehand is likely to significantly improve the chances of a positive outcome.